Customer sales summary screen will provide you customer sales details. You can analyze the sales history for all your customers with month and year wise comparison. Customer Name : Please enter the customer name to view the sales details. 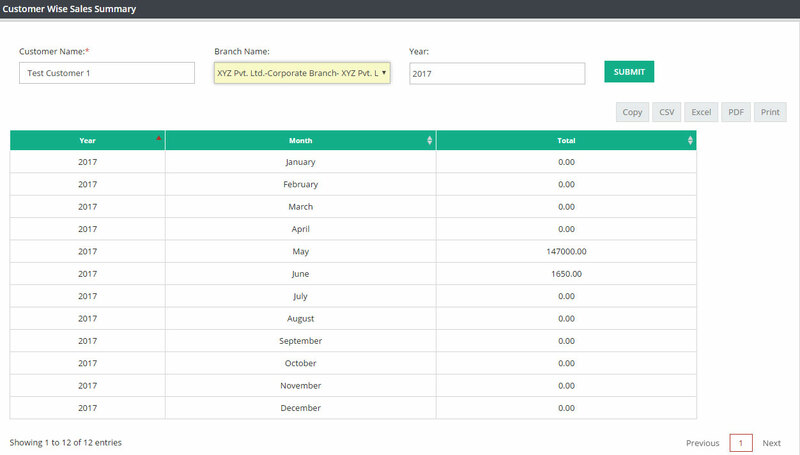 Branch Name : Please select a branch name If you are a multi branch company and want to see the customer sales history for a particular branch. To see the sales details for all branches select ALL from the drop down box. If you are a single branch company, please ignore this selection. This field will be hard coded for you with your branch name. 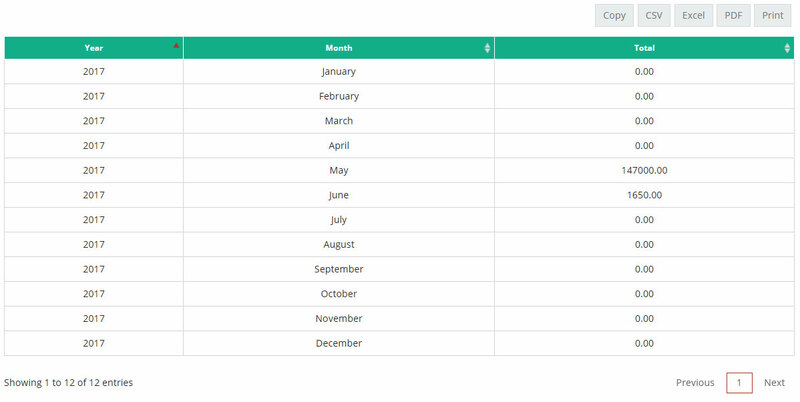 Year : You can select the year to see total sales history for that year with month wise break up. Keep your selection blank if you want to see the history for all the years. Once you have entered your selections, please click on SUBMIT. System will display the data with following details. Information from this screen can be directly saved in Excel , PDF and CSV file for future analysis. You can also print the data from this screen.